177. 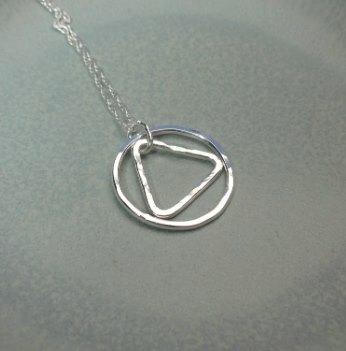 Stunning necklace with triangle inside circle, lightly hammered tio give such a gorgeous effect. Circle just under 2cm wide. Wonderful! Spring Auction. Number 170. Dobby is a free elf!